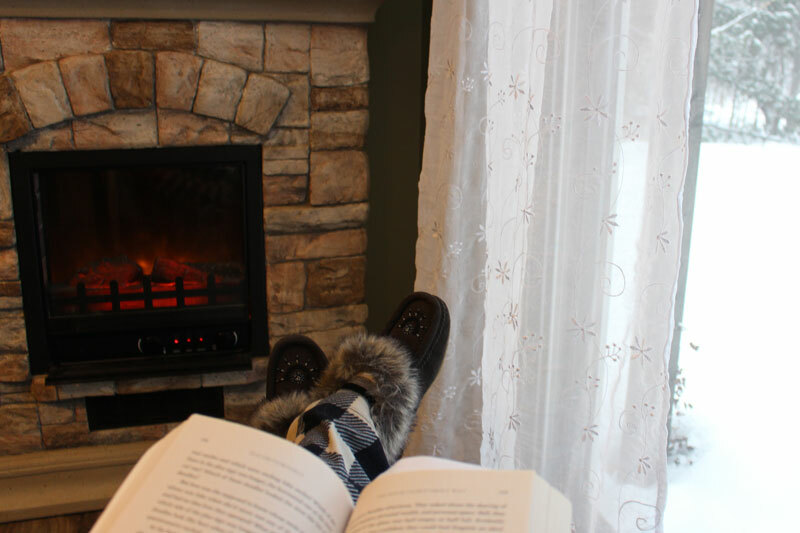 Snowy weather with a forecast of freezing rain: It’s the perfect excuse to sit by the fireplace in my pjs with a good book. It is the perfect excuse to have a lazy day. Oh yes, would love that – I’ve spent my day charging around the town sorting out children and shopping! I’ve had many of those days, too! It’s a relief every now and again to not have to go anywhere. I hope you find a day to relax, too. Happy New Year!